Starting next year, service members who have been in the military for more than 16 years will no longer be able to transfer GI Bill benefits to their dependents — a change to current Pentagon policy that’s garnered mixed reviews from military advocates. The Defense Department announced today it is instituting the 16-year cap, effective in one year, and making other changes “to more closely align the transferability benefit with its purpose as a recruiting and retention incentive,” according to a statement. Currently, service members with at least six years under their belt may transfer their GI Bill benefits to a spouse or child, provided they agree to serve in the military for four more years. Effective immediately, service members who are not eligible to fulfill the additional service requirement — including because of mandatory retirement, high-year tenure or medical issues — may not transfer their benefits. The six-year minimum requirement is not changing. Maxwell said the policy change will impact about nine percent of active-duty service members, National Guardsmen and reservists. “We understand that it will take some time for service members and their families to decide on transferring benefits, so by giving them a one-year window, we believe it will give them ample time to gather information and make decisions,” she said. The addition of a cap to one part of the GI Bill is a sore spot for some in the veterans education space, who recently fought for a provision in the new Forever GI Bill that allows vets to use their own GI Bill benefits as long after separating as they want. When Military Times first reported in November that DoD was considering this change to its GI Bill transfer policy, some advocates expressed concern and said the Pentagon should discuss it with their groups first. After the policy became official today, American Legion spokesman Joe Plenzler said, “As a matter of principle, The American Legion is against the curtailment of veterans’ earned benefits. We understand the minimum time-in-service for transferability eligibility, and that makes sense from a retention perspective, but the 16-year transfer or lose rule makes no sense to us as DOD has articulated it and disadvantages the veteran when it comes to the full use of this earned benefit.” The Legion’s members include both veterans and active-duty service members. 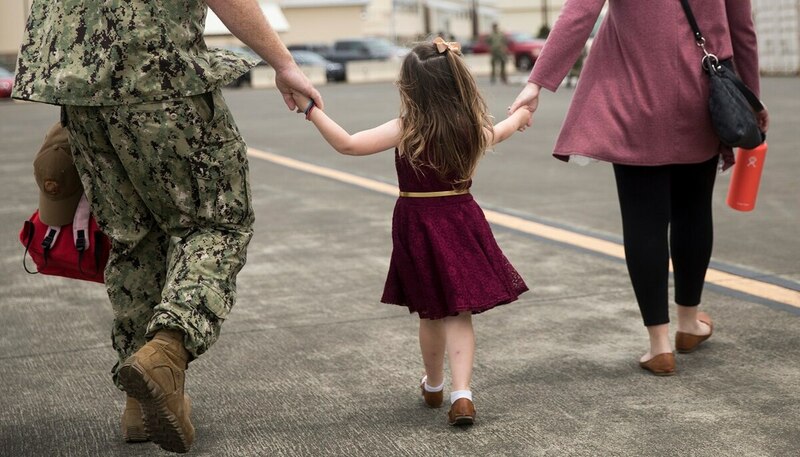 Eileen Huck, deputy director of government relations for the National Military Family Association, said the organization is appreciative that DoD is giving a year’s advance notice of the policy change and recommends that service members who think they may want to transfer the benefit take advantage of the lead time. Maxwell said DoD has “maintained ongoing engagements” with military and veteran organizations on this issue. “Our goal is to ensure all stakeholders understand the context and reasoning behind DoD policies that affect our military and veteran community,” she said. Military Times is reaching out to military organizations for comment and will update this story as additional information becomes available.